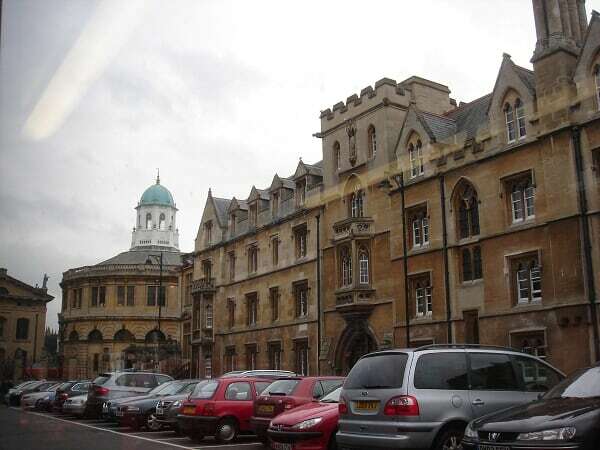 University of Oxford resides in Oxford City that locates at south east of England. The founding date of the university is unclear but estimated to be in late 11th century, making it the oldest university in English-speaking world. University of Oxford is a collegiate university that’s constituted by several colleges, and each college has its own responsibilities in the running of the university. This also makes each college possess its very own characteristic and charm. Oxford is not only made famous by its prestigious University of Oxford, but is also the origin of "Alice’s Adventure in Wonderland." The author of "Alice’s Adventure in Wonderland," Charles Lutwidge Dodgson, came to Oxford as an undergraduate student in University of Oxford and later composed the world-renowned story under his pseudonym–Lewis Carroll. Chrales Dodgson had the gift of telling stories that stemmed from his own childhood experiences to little children and could always understand their point of views. One of the children he’s often telling story to was the daughter of the dean of University of Oxford’s Christ Church college, Alice Liddell, who became the heroine in "Alice’s Adventure in Wonderland." 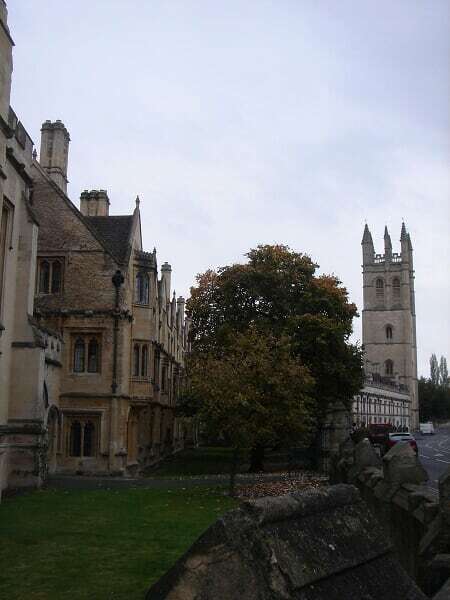 Several of the sceneries in Oxford were also used as background in the story. Alice’s Shop sells copies of illustration from original storybook. It also has various tea, pins, mugs, books, toys, postcards, and posters about Alice’s Adventure in Wonderland. See the cute bunny with a pocket watch who’s grumbling of running late in front of the shop? 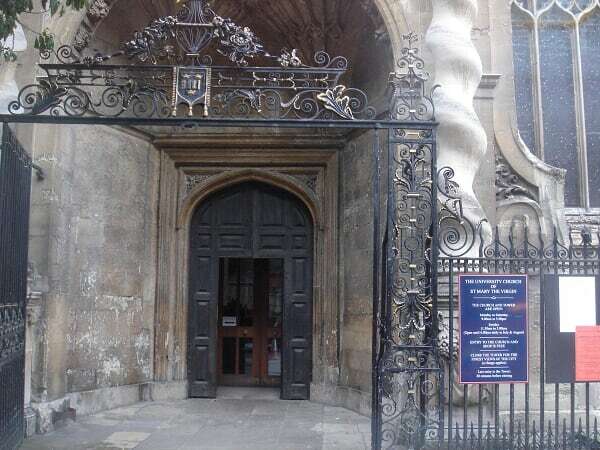 Across the street of Alice’s Shop is Christ Church, where Lewis Carroll arrived as an undergraduate student and later get his degree in mathematics. 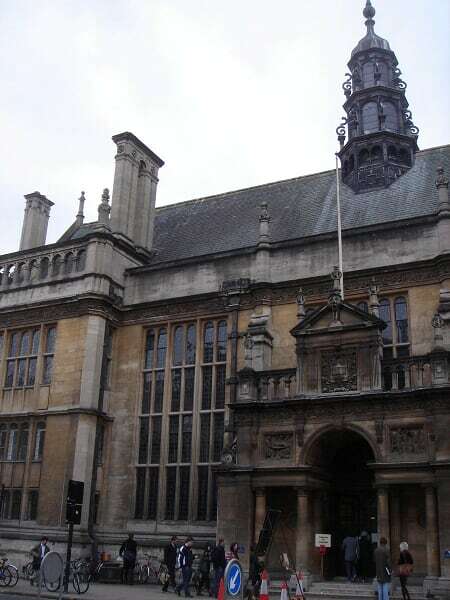 Lewis Carroll stayed in Oxford and gave lectures in Christ Church after graduation. …inside it’s comprised by a garden, old abbey of St. Frideswide, and cathedral. Christ Church college, that was founded by Cardinal Thomas Wolsey during Henry VIII’s reign for a rather large-scale of establishment. However, Thomas Wolsey lost favor from the king by failing to obtain the permission of divorcing Henry VIII’s first wife from the church before the college could be completed. In 1532, Henry VIII himself refounded the college as King Henry VIII college. 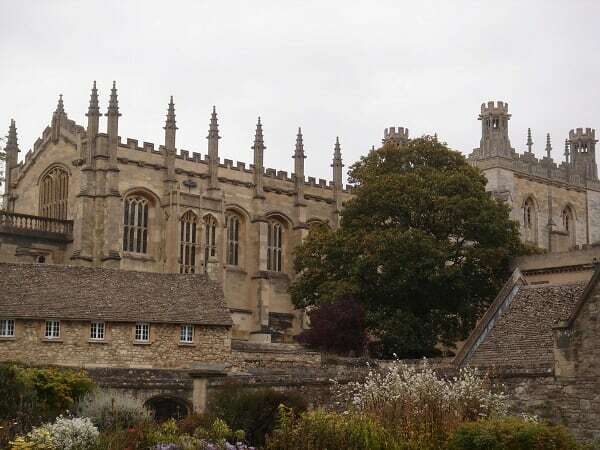 In 1546, already broken from Church of Rome and acquired wealth from many monasteries, Henry VIII then refounded the collage as Christ Church college. Museum of Oxford has windows with beautifully carved patterns. St.Mary The Virgin, University Church. The gothic-style church has a tower that’s 62 meters tall which is also the oldest part of the church, built in 1280. Merton College, built in 1264, is the oldest college in Univeristy of Oxford. It’s also the first college to offer dormitory to students. Another corner of Merton College. The round building with green top is Sheldonian Theater. It was built in 17th century and adopted Roman theater as its design. 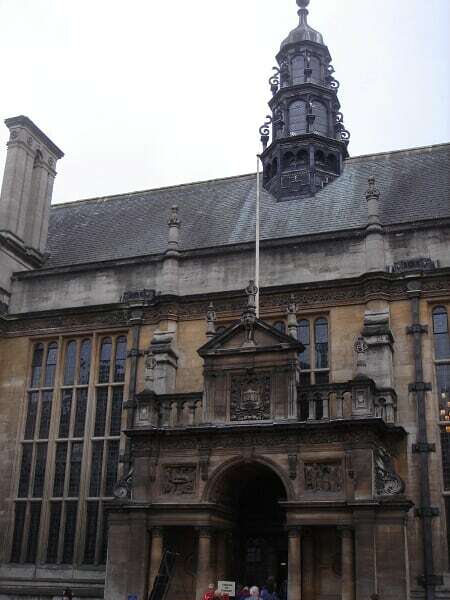 Sheldonian Theatre is surrounded by stone pillars topped with busts of Roman emperors. 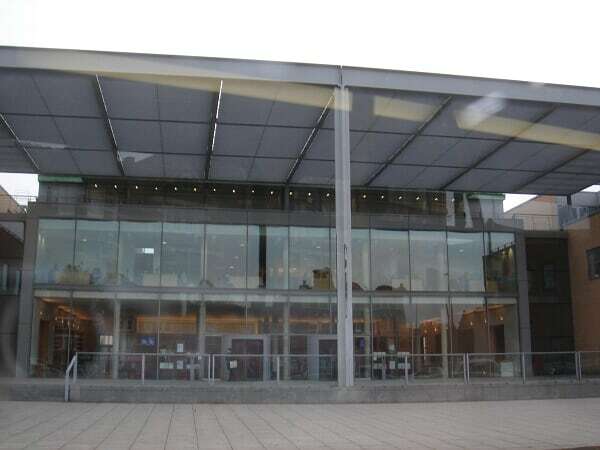 The orientation for new students and graduation ceremonies are held here. 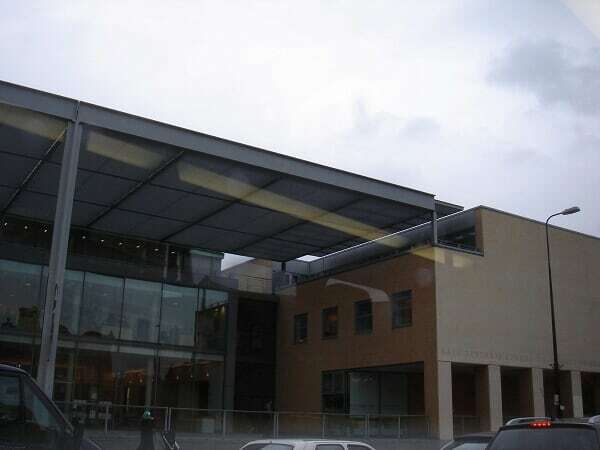 Business School is a very modern building. Walking inside Oxford gave me a feeling of being in a world where time froze. 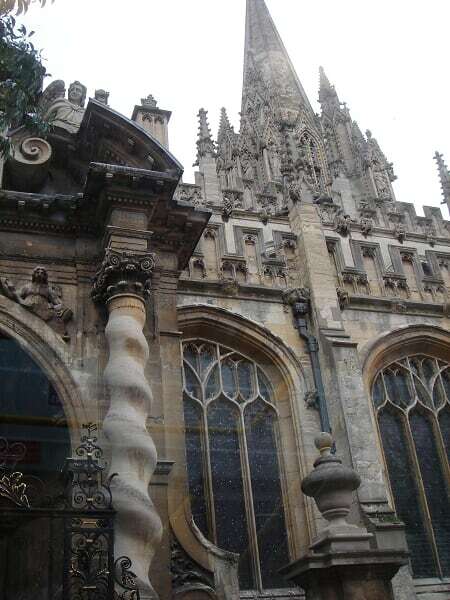 The old buildings of colleges, bookstores, and churches all made me feel going into the British history. Although it was drizzling and the chilly wind was blowing, it did not compromise any of Oxford’s charm. The cloudy sky even seemed to add the ancient ambience of these colleges. I certainly enjoyed watching students strolling or riding bikes through the streets–reminding me of my own college life. 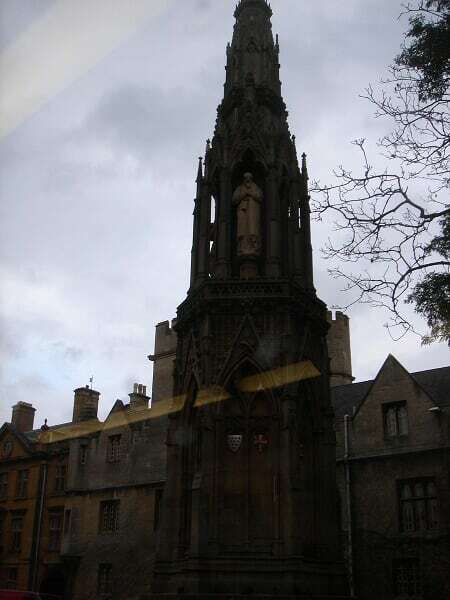 I didn\’t know that Alice in Wonderland was connected to Oxford… now you\’ve given that place a magical touch…. to me at least.